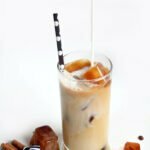 Vanilla Cinnamon Iced Coffee is so easy and refreshing, you will want to make this recipe every day. Loaded with cinnamon and hints of brown sugar, topped off with cool cinnamon and sugar coffee ice cubes, no fancy equipment needed. Read on for the entire ingredient list, simple instructions, and printable recipe. 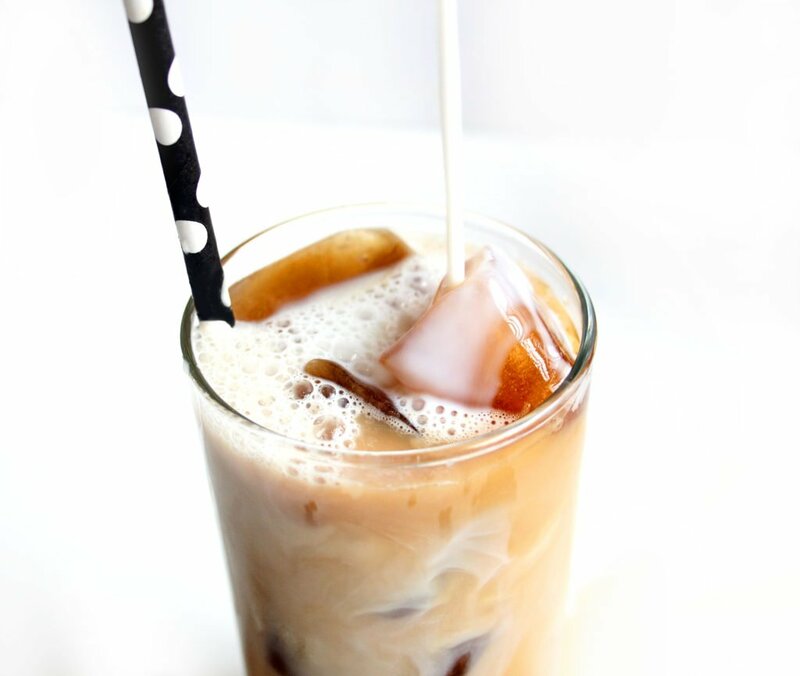 Enjoy this Vanilla Cinnamon Iced Coffee any time of the year but, especially for a cool summer drink! 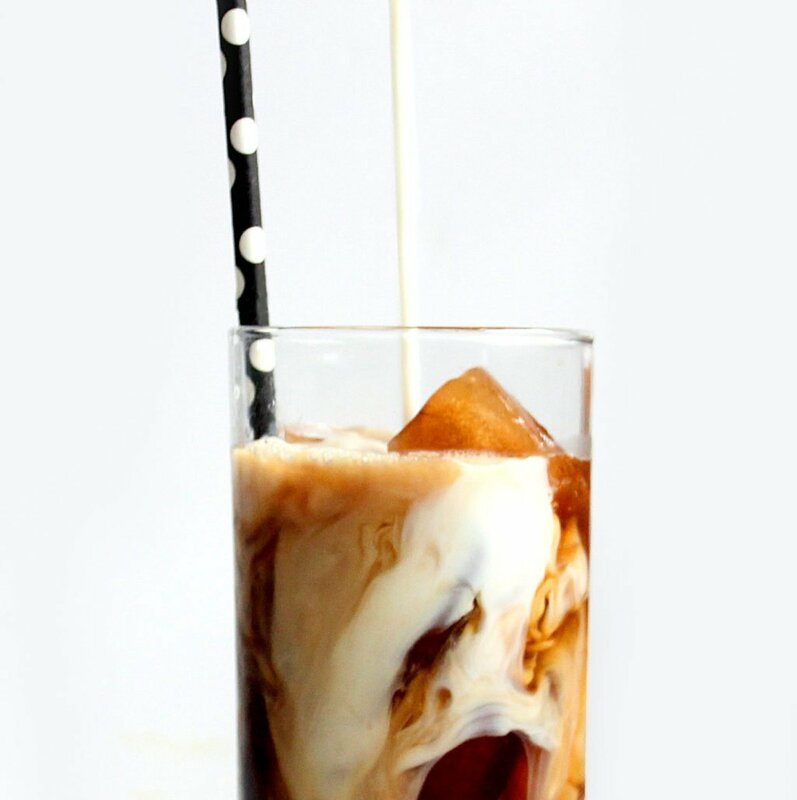 Start off by making coffee ice cubes in advance, I normally make them the night before so I can wake up and make this amazing coffee drink. Brew 3 cups of coffee and add 1/2 teaspoon of fresh ground cinnamon and 1 tablespoon of sugar. Brew 3 cups of coffee and add 1/2 teaspoon of fresh ground cinnamon and 1 tablespoon of sugar. Stir until blended and pour into ice cube tray, let stand in freezer overnight. As they melt in your hot coffee, they release swirls of cinnamon and sugar reminiscent of a snickerdoodle cookie. 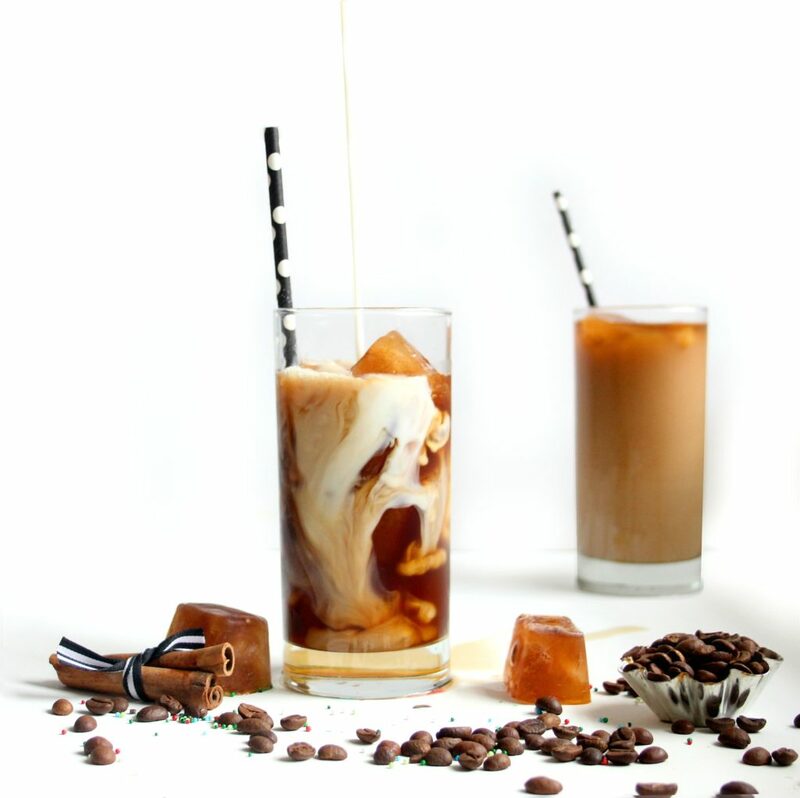 Vanilla Cinnamon Iced Coffee is loaded with cinnamon and hints of brown sugar, topped off with cool cinnamon and sugar coffee ice cubes. Tastes similar to a snickerdoodle. Pour the milk into your coffee mug, add the sugar and cinnamon. Heat the milk in the microwave for about 30 seconds in a coffee mug. Pour coffee or espresso into a mug, pour the warm milk into the mug with the coffee. Spoon out any remaining foamy milk if left and set aside, let cool about 5 minutes. Take ice cube tray out of the freezer and fill a tall glass with the coffee ice cubes you made the night before. Pour coffee over ice cubes and add more cold milk if desired. As an added treat you can also put all ingredients in the blender and blend until smooth if you prefer your ice crushed. This coffee can be made very simply or decadently. That’s the best part! You can top it with whipped cream, and chocolate fudge or you can just enjoy it with milk and ice cubes. If you want to shake it up, you can even blend it all for a frappe option! 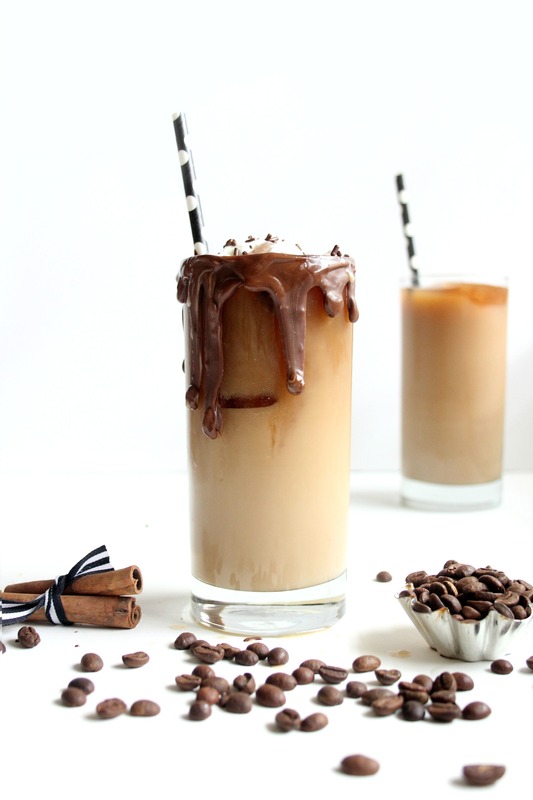 While it’s normally a delicious summer iced coffee option, this can be an everyday thang? 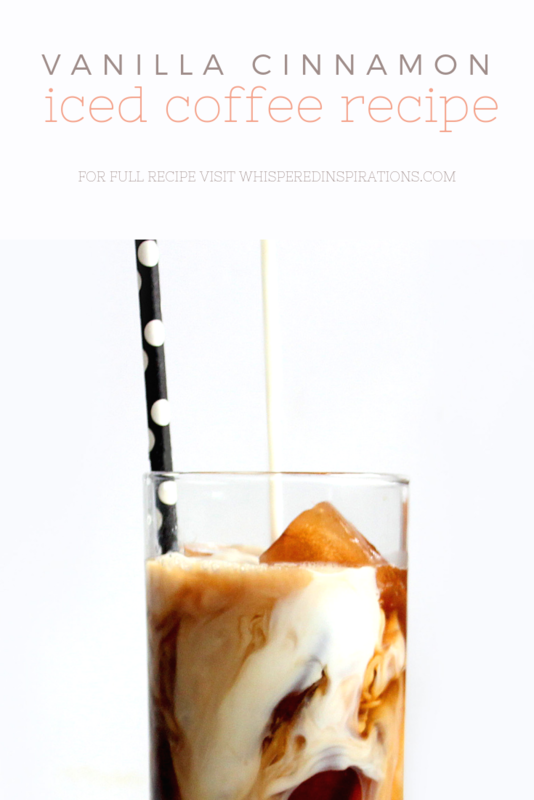 Do you love iced coffees?